Antonia Quirke presents Radio 4's weekly look at the world of film. To mark the thirtieth anniversary of its release, Alex Cox talks about Sid & Nancy, his biopic of Sid Vicious. To mark its 30th anniversary release, the director of Sid & Nancy, Alex Cox reveals his regrets about his Sid Vicious bio-pic. And why he almost cast Daniel Day-Lewis as the punk icon. 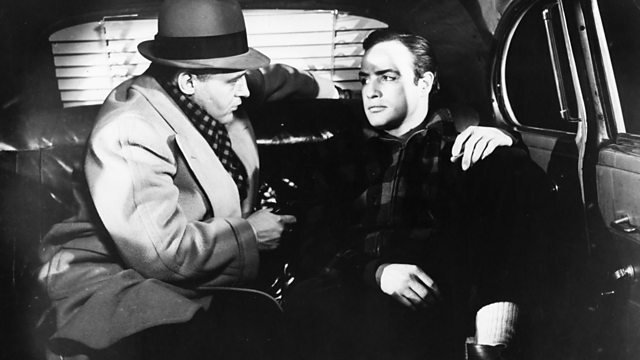 In a new series, award winning poet Don Paterson talks us through some of the great speeches in cinema history, beginning with one of the most quoted of all time - Marlon Brando declaring he coulda been a contender in On The Waterfront. Don also reveals the secrets of "lecturer's stress". Antonia discovers a cinema in the depths of the Mexican jungle, where plants grow through the floor and guests turn up in their pyjamas to enjoy a slap-up meal with their movies. Do you have an unsung hero of British cinema in your family ? If so, The Film Programme want to hear from you. This week, Robin Hayter nominates his dad, the actor James Hayter, who notched up over one hundred screen credits, from Blood On Satan's Claw to Pickwick Papers.